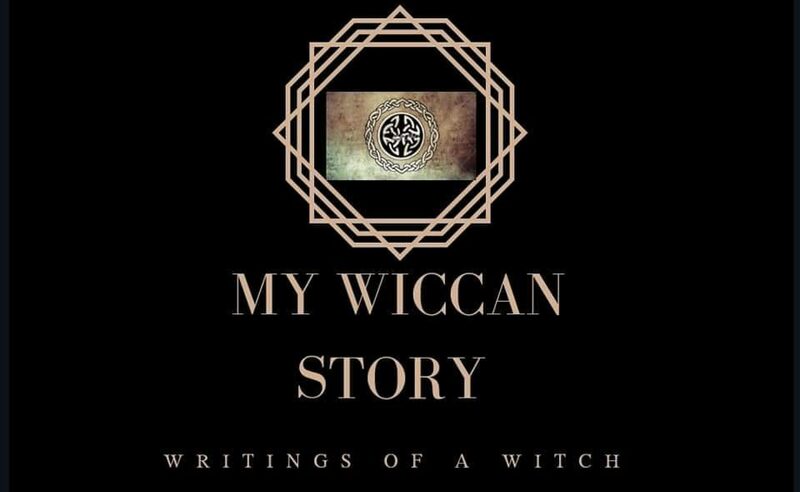 One thing I am learning about practicing Wicca, is that it takes a great deal of devotion and motivation. There is no lazy way to be Wiccan. It’s not impossible, just each ritual takes a lot of work. There’s casting your circle, Charge of the Goddess, the ritual itself, and closing your circle. In addition to the rituals, there’s a lot of knowledge required. Which herbs help with which issue, which candles to use for specific rituals and spells, how to mix certain oils and powders for spells. As a new practicing Witch, I am always in search for new material to study. And there is plenty. There’s different languages in which to study and record your own spells and rituals, tarot cards, astrology, meanings and powers of the days of the week or phases of the moon. In college I had a lot of trouble picking a major and staying with it long enough to graduate. I loved learning, and every time I took a class, it seemed to point me in a new direction. So I’d take another class on that subject, and on and on I went. I’m experiencing the same thing with Wicca. I start studying one book, which briefly introduces me to a subject, and then before I’ve finished that first book I’m on to another book to learn more. This Yule was the first time I’d cast my circle. I went over my books beforehand, to make sure I had everything I needed, and to make sure I was setting my altar up correctly. I had previously blessed all of my tools, so once my altar was setup, I knew I was good to go. I sat back for a few minutes and admired my altar. It was sinking in, I’m a Witch. I made sure my girls were asleep, told my husband I was about to get started and for him to please not come in the room, and got started. Since it was for Yule, I turned on the lights on my tree and turned off the overhead lights. I sat on a folded blanket, and took a moment to clear my mind. I thought through what I was about to do, and made sure nothing else was going to pop into my head to distract me from my ritual. Then I cast my circle. I grinned like a fool the entire time. I was so happy that after all my studying, I was finally getting to partake in a ritual. It had been worth the wait, being painstakingly selective with each tool and item for my altar. I searched for just the right ones, something that would have meaning to me or felt ‘right’. This wasn’t something to be rushed. It had to be perfect. The Winter Solstice ritual was not very long, even though my instructions were two pages. (Yes, I typed up a copy of the ritual and every step and chant I needed to do.) After I had completed my ritual, I waited to close my circle. It was a feeling I did not want to end. I felt accomplished, and oddly full. I don’t know if it was power or purpose or both, but I felt full of it. I think the biggest thing, was that I felt peace. For that moment after calling the Goddess, I felt peace, and it was a painful and blissful feeling. There was a slight edge of pain, simply because peace is a feeling I’ve always wanted to know. And as I finally felt it, I was aware of how much pain I am in on a daily basis. It was sad and refreshing. I knew this was something I needed, I had chosen correctly to dedicate myself to the Goddess. If one ritual could show me this much relief, I can’t imagine what decades could bring me.